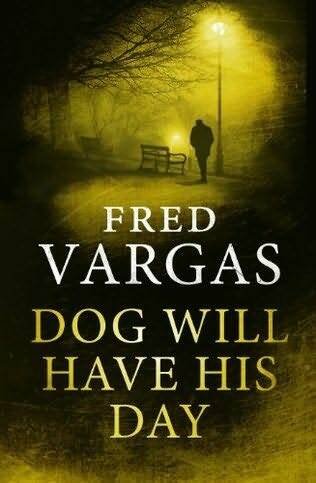 Readers of this blog will know that Fred Vargas is one of my favourite writers and I always look forward to new translations of her books. Her latest to be published in the UK doesn’t feature Vargas’s wonderful detective, Adamsberg, but rather one the ‘three evangelists’ who appeared in an earlier novel of the same title. The principal narrator in Dog Will Have His Day is Marc, or St Mark as he is referred to by his housemates. He is helping a former special investigator, Louis Kehlweiler, put his records in order. When Louis discovers the fragment of a bone in a local park, he persuades Marc to help him keep watch on regular dog walkers in the area. Convinced that a murder has taken place, Louis and then Marc decamp to Port-Nicolas in Brittany and shake up the local population in their hunt for the killer. All of Vargas’s books are characterised by her sly humour and slanted view of the world. Dog Will Have His Day is no exception and the highlight of the book is a typewriter in Port-Nicolas that churns out ‘advice’ to those who ask it questions. There is also the ever watchful presence of Louis’s pet toad and a cast of colourful characters including Marthe, the former prostitute who knows everything about men. The murder plot itself is quite slight. We’ve become used to getting lengthy books from Vargas and this one seemed less substantial than her earlier novels. Originally written in 1996, the absence of modern technology also slightly dates the book although, to be fair, there is a timelessness about Vargas’s writing anyway. The novel reminded me how much I enjoyed The Three Evangelists and it is always good to read a Vargas book. While not her best, it was still enjoyable although it would have been nice to see more of the other two ‘evangelists’ in the narrative. Thanks to Harvill Secker for my review copy. The translation was by Sian Reynolds. That’s exactly what less substantial means. The book is easily read in a day. Sarah – Oh, this does sound like a solid read, and interesting that Vargas is taking the Three Evangelist context on a bit further. Glad you enjoyed it. Great news. I’ll miss the slovenly genius, Commissaire Adamsberg and his team, but I will enjoy these three evangelists, as I read the first one, which got me hooked on Fred Vargas’ brilliance and quirkiness in the first place. 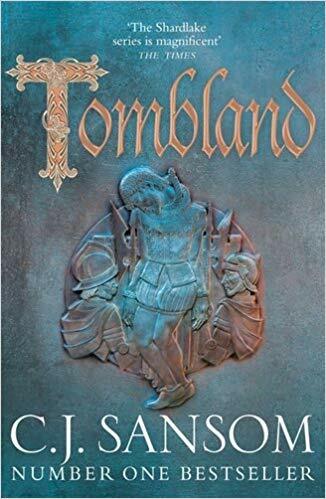 So, yes, eagerly await this book over here in the States. I love the three evangelists too, Kathy. It’d have been nice to see more of them in this book. I have had mixed reactions to books by Vargas but will continue to read them. I would like to try The Three Evangelists and this one, someday. Very nice review. Great! It’s not my favourite Vargas but still goo.